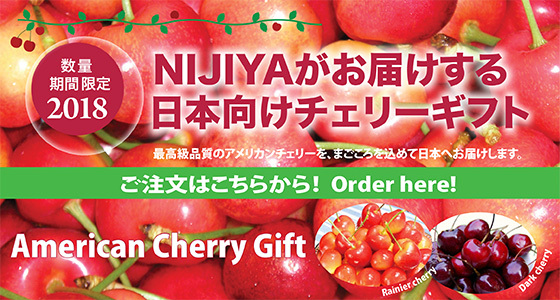 Nijiya Cherry Gift 2018 / Order Here! Yakima Valley is located in Orondo, Washington and the fertile volcanic soil and the warm, sunny weather next to the desert makes it a great place for cherry growing. Send the limited, sweet and tasteful premium American cherry to relatives and friends in Japan. Other Cherries – around the end of June to the middle of July. June 25th for all stores. If you have any questions, please contact our staff. 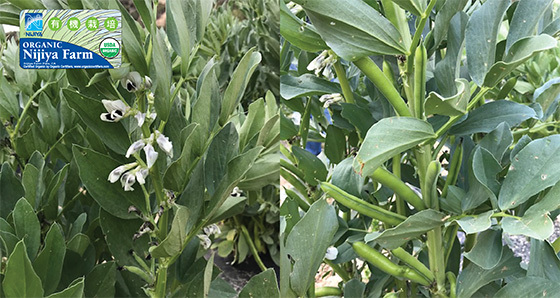 Sora mame (Fava bean) coming soon!! 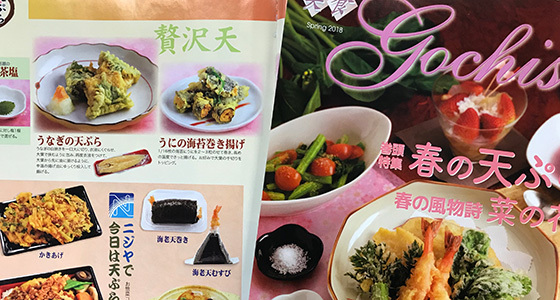 Nijiya’s seasonal magazine “Gochiso Magazine 2018 Spring” is finally published. Full of delicious recipe and food. It’s Free at all Nijiya stores. Sumidaya Rice Demonstration and Mini Cooking Class! SUMIDA YA is a rice wholesaler in Sumida-Ku, Tokyo, in Japan. Founded in 1905, Sumida ya specializes in premium grade rice. Its knowledge of polishing and blending rice sets their products apart from other brands. They polish the rice slowly to keep the aroma and blend a few variety of rice together to bring out the best flavor. Please come to see the demonstration this weekend! 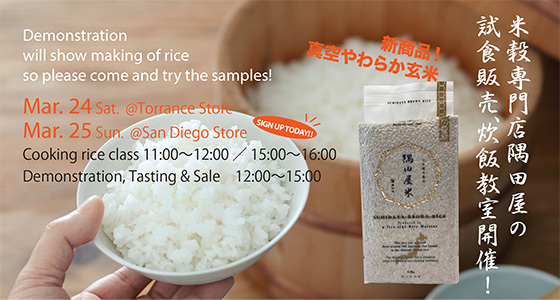 Demonstration will show making of rice so please come and try the samples! SIGN UP TODAY!! 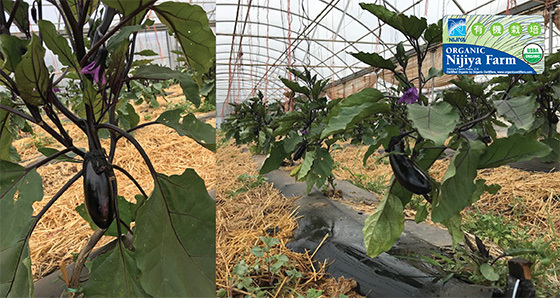 The Nijiya Kagoshima Fair will be held at Nijiya Markets in CA. A lot of delicious items have arrived from Kagoshima, Japan such as satsuma-age, Kagoshima wagyu beef,fresh kanpachi and yellowtail sushi / sashimi and Karukan sweets! Nijiya’s seasonal magazine “Gochiso Magazine 2018 Winter” is finally published. Full of delicious recipe and food. It’s Free at all Nijiya stores. Nijiya’s seasonal magazine “Gochiso Magazine 2017 Fall” is finally published. Full of delicious recipe and food. It’s Free at all Nijiya stores. 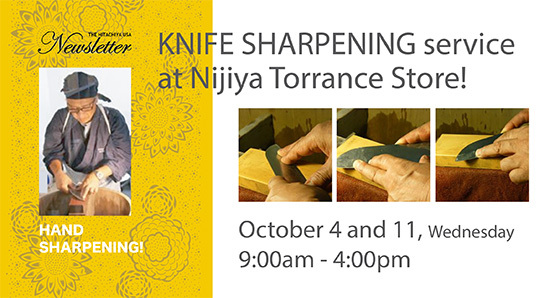 HAND SHARPENING! You’ll see the difference, We Guarantee! Bring your knife to make it razor sharp! 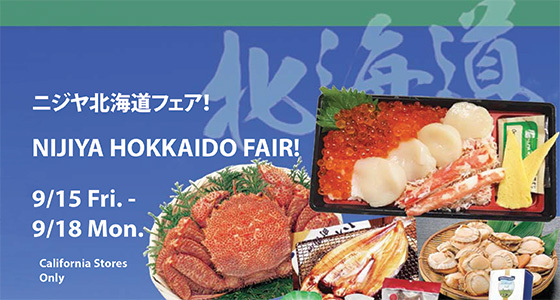 This year, the Hokkaido Fair at Nijiya Market will be bigger and better! The popular Hokkaido Kaisen Chirashi will feature more Hotate and Ikura this year, and our boiled crab and steamed octopus are all from Hokkaido. We will have the highest grade rice varieties harvested in Hokkaido, Praised for their flavor. 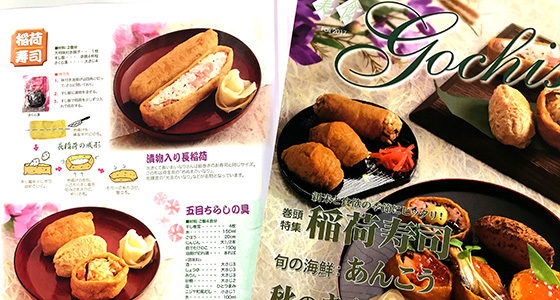 For the sweets, we will bring “Marusei Butter Sandwich Cookies”, one of the most popular Hokkaido souvenirs. In addition, we will have a variety of cheese cakes, chocolates, caramels, and more. There will be lots of samples, so please come and enjoy!